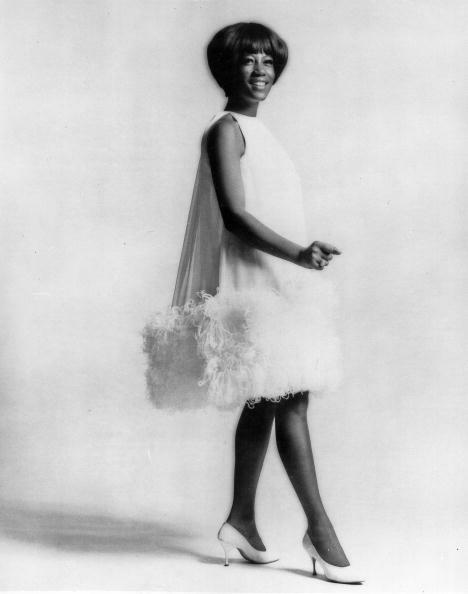 The complications of the Motown release and promotional schedule putting The Supremes first, and just about everyone else second-to-never really did a disservice in getting audiences some rather wonderful performances by a host of Motown artists. The most wonky in stories would be Kim Weston, however. Considering that she should have had an extra boost by also being the wife of Motown A&R director William “Mickey” Stevenson since 1964, one would think she’d have more of her golden moments released instead of twice or three times a year to middling promotions. Then again, Kim’s own reluctance to join the Motown hit parade fray of dance tunes (She turned down “Dancing In The Streets” for instance) or marital issues (Mickey took away “My Baby Loves Me” and gave it to Martha Reeves, much to Kim’s chagrin) probably got in the way. In the end it seems that her allegiance to her husband really cost her what could have been her late 60’s blossoming. By the time she was putting wraps on a slew of new numbers including this extremely gorgeous bit of relational happenstance, the wheels were turning as Mickey sought a more profitable A&R position with MGM records that conveniently started as Kim’s Motown contract would be up in 1967. Thankfully a host of her gems that got lost in the transition are for our ears to delight in nearly 50 years later. Kim Weston had the best voice on Motown and did many great recordings after, never understood why radio didn’t pick up on her fantastic body of potential hits!